It’s not just your ski specific strength that needs to be pre-conditioned; your cardiovascular fitness is a priority too! According to skinjury.com – published by Dr Mike Langram, a GP and ski patrol doctor at CairnGorm Mountain in Scotland – the latest injury rate for skiers is 2.38 injuries per 1,000 skier days. Research by the respected Medecins de Montagne in France puts the figure at roughly 3 injuries per 1,000 skier days. 10% of all injuries on the slopes are the result of collisions with other mountain users. These collisions can be fatal, too. So reduce your speed, especially if the pistes are crowded. On average, about 35-40 skiers and snowboarders die every year in the USA as a result of a traumatic accident. 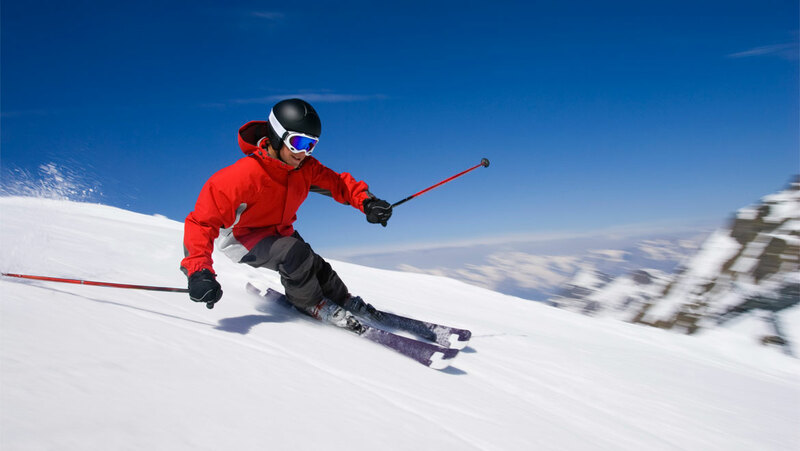 Excess speed and/or jump heights are usually involved in most traumatic deaths on the slopes. However research in the Austrian Alps has revealed Cardiac deaths account for 40% of all deaths on Austrian Alps slopes (Klug 2010). If your only exercise is walking the dog at weekends, you can hardly expect your body to cope with a ski holiday without complaint. Six hours a day of sustained exertion, at altitude, can take quite a toll, and many skiers get profoundly tired as a result. It’s one of the reasons why the final hour of the day on the pistes is known as ‘insurance hour’. Tired legs and fuzzy, exhausted minds are a contributing factor to the high incidence of accidents in the final minutes before the lifts close. Fortunately, the remedy is simple. You have to accept that skiing is a sport – not the winter equivalent of relaxing by the pool on a sun lounger – and follow a ski fitness programme before your holiday to prepare you for the physical strain. Book in with one of our therapist’s for a consultation where your needs and goals will be assessed including a functional movement screen. We can look at everything from your biomechanics to your blood pressure to ensure you hit the slopes in the best possible condition utilising our expert knowledge and advice to help reduce your risk of injury and improve your performance. Call the clinic on 0191 2817703.